The Northern Poetry Library (NPL) based at The Chantry building in Morpeth is the largest collection of post-World War II poetry in England outside of London. The library has come together with local performing arts company November Club to celebrate its 50th birthday. 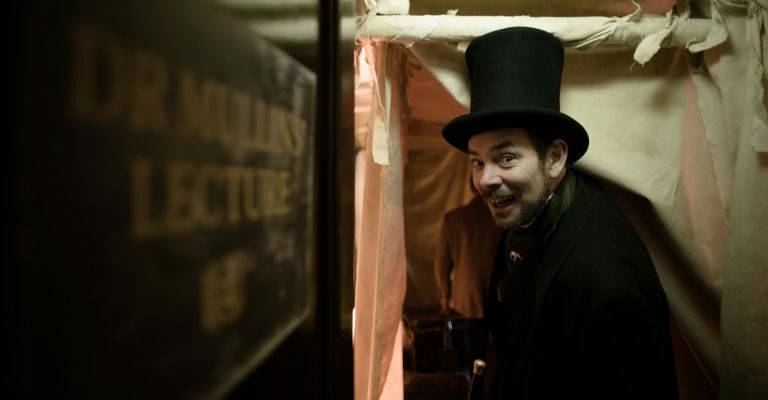 The festivities include a visit to Morpeth by The Remarkable Dr McCavity and his Travelling Surgery. On Saturday 21 July between 11.00 and 16.00, the esteemed Doctor will take to the streets of Morpeth. Inspired by nineteenth-century quack practitioners of all sorts and accompanied by his glamorous assistant Ginger Vitis, November Club’s very own Quack Dentist will dispense, for one day only, very special prescriptions in rhyme to mark the NPL’s anniversary…but you’ll have to experience his notoriously hilarious tooth-drawing skills to get one! Meanwhile, at the NPL, the Poem of the North will be launched at 14.00. This newly commissioned digital artwork will feature new poems from writers with a northern connection. To celebrate the launch of this special anniversary project, a poetry reading by Northern poets and local people who have selected their favourite poems from the collection will take place at the Chantry. Everyone is welcome.